Introducing Readings for Holy Week Audio Edition, a new way to experience Holy Week! 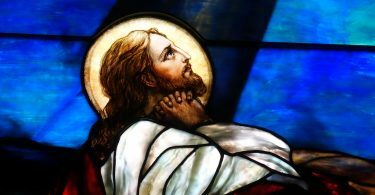 Readings for Holy Week represents a harmony account of the sufferings, death, resurrection and ascension of the Lord Jesus Christ as it is found in the New Testament. Moravians have shared a version of this moving collection for more than 250 years and continue to use it in services leading up to Easter each year. Readings for Holy Week Audio Edition brings this much-loved tradition to life in an audio format ideal for use by small groups, congregations, or those who may not be able to attend local services in their congregation because of distance, infirmity, conflicts in schedule, etc. This five-CD set includes the complete narration and hymns that make up the printed editions of Readings for Holy Week. Each narration section and hymn appear on separate tracks to allow listeners to access them in a variety of ways. Recorded at Lititz Moravian Congregation in 2006, with additional recordings at College Hill Moravian Church in 2018, this beautiful audio version of Readings for Holy Week offers a new way to experience the last days and resurrection of Jesus. Available just in time for this year’s Holy Week for just $25.00 plus shipping. Pre-order yours today! We expect these to arrive at the IBOC on or about April 3, and will ship immediately via Priority Mail. Audio Edition production manager Jill Bruckart has supported new and improved editions of Readings for Holy Week throughout her career as a church musician. She was the promoter (and compiler in the days of cut and paste at the photo-copy machine) of the first music edition that was printed in 1985, and had long thought of creating a full audio version of Readings, including narration and hymns. In the mid-2000s, Jill was music director and organist at Lititz Moravian Congregation in Lititz, Pennsylvania. 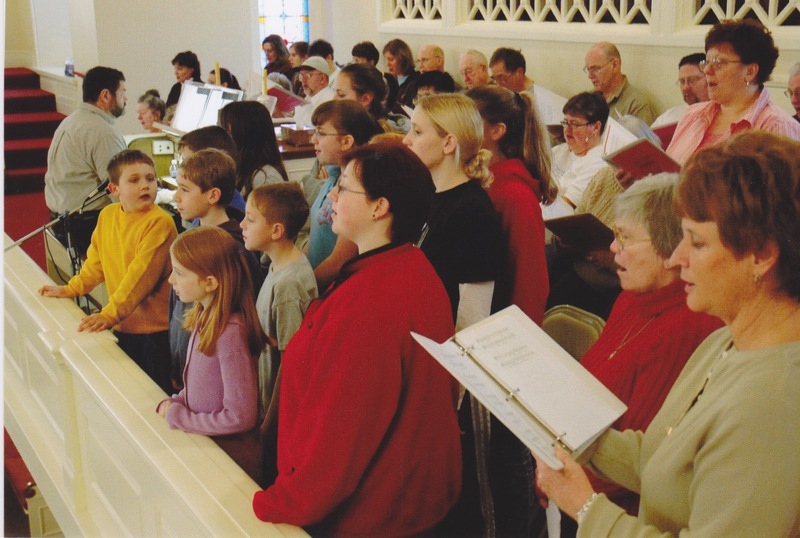 The congregation was fortunate to have many talented musicians in its membership, including adult and children’s choirs, a full complement of string players, and a large brass choir. The pieces were in place to bring Jill’s idea to fruition. The directors of the congregation’s musical groups (choir, string ensemble, trombone (brass) and children’s choirs) stepped up to assist. 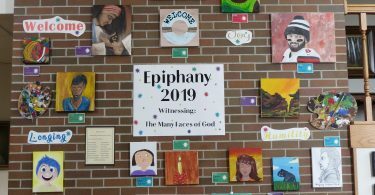 A variety of narrators, many with a direct connection to the Lititz congregation, agreed to read the spoken sections; the congregation’s audio technician led them through the process of recording. On recording day in 2006, the church pews were outfitted with blankets and quilts to soak up sound and mimic the presence of a congregation. A 12-foot-high scaffolding was erected in the center of the church to provide a platform for the director to lead the musicians and singers who were situated in the balcony with the organ. The hymn recording session was done in one day, with a re-take time scheduled for a second day after tracks were reviewed. The hymns were recorded using a variety of mixtures of voices, instruments, a cappella singing, solos and small groups. One hymn even uses guitar accompaniment. The original idea for this collection was to include a visual component to create a personal DVD experience. The art element of this DVD version proved to be more of a challenge to produce, so the project lay dormant for many years. In 2017, Jill brought the recordings to the attention of the Interprovincial Board of Communication, who were excited by the opportunity to produce and publish this audio collection. The original files were reviewed; additional recordings at College Hill Moravian Church in 2018 supplemented the earlier recordings. The IBOC’s Mike Riess worked to master these recording and prepare them for duplication. Now, more than 13 years later, this CD project has come to fruition. We hope that this audio version will offer a feeling of congregational participation in the Readings for Holy Week that can be useful to small churches, nursing homes, prayer groups and home listeners. For more information about ordering the Readings for Holy Week Audio Edition, click here.